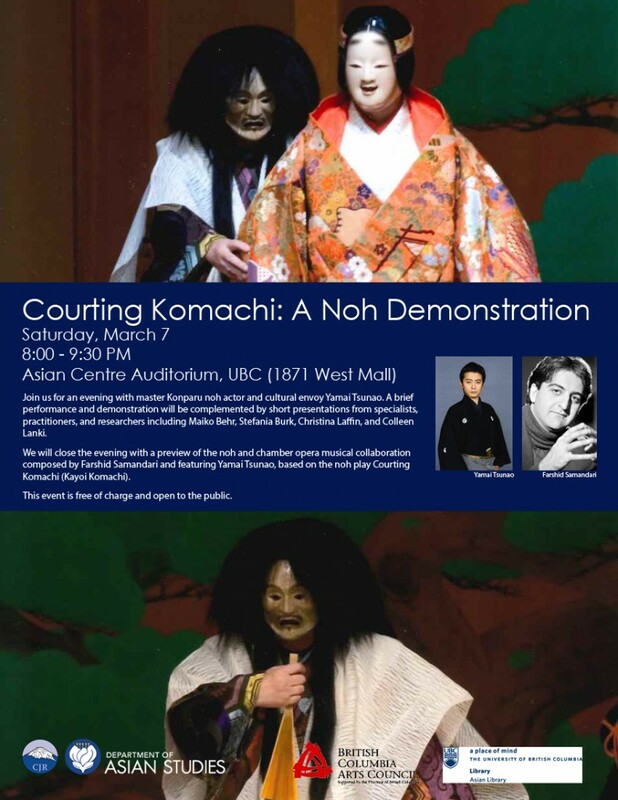 Join us for an evening with master Konparu noh actor and cultural envoy Yamai Tsunao. A brief performance and demonstration will be complemented by short presentations from specialists, practitioners, and researchers including Maiko Behr, Stefania Burk, Christina Laffin, and Colleen Lanki. We will close the evening with a preview of the noh and chamber opera musical collaboration composed by Farshid Samandari and featuring Yamai Tsunao.